BROOKLYN, New York, Aug. 7, 2018 — HITN, the largest non-commercial, Spanish language television network that reaches more than 44 million households in the United States, today announced from its headquarters in Brooklyn NY, that Michael D. Nieves, the network’s president and CEO, has been named one of the 50 most influential people in Brooklyn by City & State magazine. The award was presented at a private reception on August 2nd, at the Brooklyn Bridge Marriott Hotel in New York City. This special issue of City & State magazine titled, The Brooklyn Power 50, was created to showcase the accomplishments of executives and other prominent figures and key players in the borough within the world of New York government and politics. Their editors reached out to insiders and experts in New York City politics to compile this list, ranking each person based on their accomplishments, sway in political policy matters, and philanthropic efforts. Mr. Nieves was included in the list for his contributions to city government and for his role at HITN. Mr. Nieves came to HITN with a distinguished career in government and political consulting. For over 25 years, Mr. Nieves has helped build the political landscape in New York by serving as a strategic and policy advisor and consultant to numerous elected officials and campaigns across New York City and New York State. Campaigns have included the elections of state and city representatives, borough presidents, members of Congress, and judicial candidates. Among those Mr. Nieves served are Assemblyman and former Bronx Democratic leader José Rivera, Majority Leader Joel Rivera, Assemblyman Nelson Denis, former Congressman Charles Rangel, and Transit Workers Union Local 100. 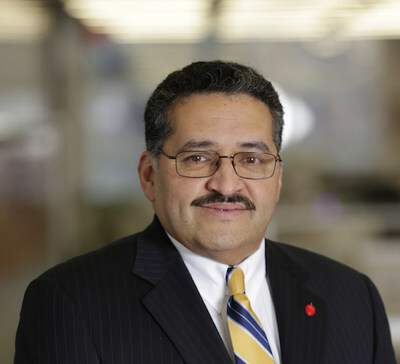 Since taking the role of president and CEO of HITN, located in the Brooklyn Navy Yard, Mr. Nieves has pushed the boundaries of the channel’s commitment to provide its viewers with educational and entertaining content by working with some of the most important producers in the world from BBC, Discovery, NatGeo, and CNET to create a carefully curated list of programs for its viewers. Under his stewardship, HITN has added 10 million new households to its viewing audience to now reach more than 44 million households nationwide. HITN has even received three Emmy nominations in 2016 – its first time since HITN’s inception in 1981. In recent years, HITN has opened offices in Miami, reopened its office in Puerto Rico, and started expansion of its office in Washington, D.C. and its Brooklyn headquarters which will include an additional 25,000 square feet of interior space and 15,000 square feet of rooftop studio space. Mr. Nieves community involvements include the boards of the National Museum of Puerto Rican Arts and Culture in Chicago, National Hispanic Caucus of State Legislators, SOMOS New York, New York City Public Schools Community School Board #32, and the New York Puerto Rican Day Parade. Mr. Nieves was listed as an honoree of City and State’s 50 over Fifty and was awarded “Hero of the Month” by Brooklyn Borough President Eric L. Adams for his relief efforts in Puerto R3ico after Hurricane Maria. Also, he was recognized as one of City and State’s 100 Responsible Corporate Social Responsibility figures. He and his family are active members of St. Barbara’s Catholic Church in Brooklyn, NY. HITN-TV is a leading Spanish-language media company that offers educational and cultural programming for the whole family. It reaches more than 44 million viewers in the US and Puerto Rico via DIRECTV NOW, DISH Network, AT&T U-verse TV, Verizon FiOS TV, Comcast, Charter Spectrum, Mediacom, CenturyLink Prism and Optimum. For more information, please visit www.hitn.org.